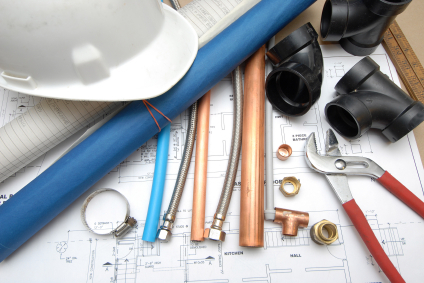 If you’re ever hired a plumber or contractor you know all about the concerns that home and business owners face when choosing a company to fulfil a need–whether it be a leaky pipe or an entirely new construction. If you’re looking for a plumber in Toronto or the GTA you may find yourself in a similar situation. Who to choose and how to ensure that they will deliver quality work, as promised? It can definitely be scary hiring an unknown company to complete a plumbing job in your home or business, especially when said project is likely to cost a pretty penny and when you may not understand all the specifics of the work to be performed. License and Insurance – If the plumber you’re looking to hire lacks either you may want to rethink your choice, no matter how attractive their price is. A license ensures that the plumber you’re hiring is aware of all codes and regulations, and is legally certified to perform the work you’re paying for. Having insurance is not only professional, but protects the client in case anything goes wrong during the course of a project. References – A highly recommended way to find a plumber in Toronto is to go by word of mouth. If a friend or family member is happy with the job a certain Toronto plumber has done for them, it’s likely you’ll receive the same service. What to do if no one you know can recommend a reliable Toronto plumber that services the GTA? Ask the plumber you contact for references. Any contractor with a slew of satisfied customers would be more than happy to supply you with a few names and numbers so that you can verify the quality of their work. Rate – How does the plumber price his jobs? Whether the contractor is giving you a fixed quote for the entire job or works by hour, it’s better to know up front. While any plumber you hire should be clear about their timeline, services and price, it’s also your job as the client to ask as many questions as possible and get a detailed quote in writing prior to having work start for any larger job. This includes establishing who will supply what. For example it’s important to determine whether the quote includes finishing fixtures like faucets and toilets or whether you’ll be supplying those yourself. Deposits Aren’t The Sign of a Bad Plumber – Some think that any contractor who asks for a deposit is either a) shady or b) unprofessional. We’ve heard many claim that a company should have the cash flow to cover the material for any new job. And they should, and many do. Yet, just as many companies and homeowners get burned when dealing with contractors in the GTA, so to do these professionals. As long as your Toronto plumber’s credentials and references check out don’t balk at handing over a reasonable deposit, just as you would when ordering appliances or furniture. Full Service – You’re likely best served to find a Toronto plumber who can offer you the widest range of services possible. Look for a mechanical company that handles both commercial and residential projects; rough-ins, finishing work and service calls, including things like computerized camera snakes to quickly identify the source of problems. Free Estimates – Most reputable plumbers in Toronto and the GTA will offer free estimates. The Intangibles – At the end of the day you have to be comfortable with the person you hire to come into your home or business. Even if a plumber’s references are flawless, but you somehow feel you haven’t hit it off then we recommend moving on. You want to find a plumber who you feel comfortable with and who is willing to take the time to address any questions or concerns you may have. Affordability – Creating a budget before looking for a plumber is recommended, although this number may have to be revised if it’s not realistic for what you’re looking for. While everyone wants the best value for their dollar you must also remember that you get what you pay for. The cheapest option is often not the best one. When looking for your Toronto plumber keep your eyes open for a company that provides you with a fair quote. When looking for a plumber in Toronto ensure that you inquire about credentials, insurance and references, and look for a plumbing company that can provide attention to detail, excellent customer service, and the quality that you deserve.